Information marketing is one of the multiple ways I make money online. Although it’s not my major income earner, it passively fetches me a decent figure every month. Over the past three years or thereabout, I’ve learned a lot as far as information marketing in Nigeria is concerned. And I’ve written this post to share not just my experience, but also the lessons I’ve learned since I started out. It all began in August 2013, about four months after I started this blog. On that day I was browsing through Nairaland when I noticed a particular thread in which the poster explained how to write a winning CV. I was amazed at the massive number of views that the thread attracted within a few days (over 10,000). And from that, I quickly deduced that many Nigerian job seekers really don’t know how to craft a good CV. To confirm that, I headed for the Jobs/Vacancies and Career sections to dig out past threads on the same topic. They all attracted massive number of views. So, my deduction was right, after all. Then I went on to view many other posts that have also attracted several thousands of views. And I found that most of them were either testimonials by those who have just landed a job or tutorials on different phases of the job search process — CV writing, cover letter writing, interviews, etc. At the end of the digging task, I drew my conclusion — that many Nigerian job seekers would readily pay to get good information on how to land their dream jobs. And that was how I got inspired to craft my first ever premium information product. Next, I picked up my pen and jotter to scribble how I’d go about creating the e-book. I came up with an outline of the topics that would be covered in the e-book, and drew a rough marketing plan. I would conduct in-depth research on my own to get quality information on the various stages of job search. And after I’m done with my first draft, I’d have it reviewed by seasoned Nigerian HR personnel and career experts. To me, no other idea could be better. So, I started writing the proposed e-book, covering the outlined topics one after the other and ensuring that each chapter contained all the necessary information. Most importantly, I ensured that all the information I gathered were perfectly tailored to Nigerian job seekers. The whole writing process took me about two months. While working on the first draft, I already had a list of experts that would review all the information I’ve gathered. Even before I started writing, I already penned down the name of Mr. Suraj Oyewale, a chartered accountant and seasoned career coach. I knew him on Nairaland because his insightful posts on job search tips were always moved to the front page. As for other experts on my list, I found them by simply searching LinkedIn for Nigerian HR managers and career mentors. Although I contacted over 20 individuals, only about five of them replied and showed full interest in reviewing the e-book. Of that five, three of them made it a condition that I never disclose their identity or contact details — and I agreed. After I finished the first draft of the e-book, I sent it via email to all the six experts on my list. Within the next two weeks, all of them have replied back with their corrections, recommendations, additional points, and everything else that they deemed helpful. I was particularly happy that they all commended me for a job well done. Next, I revised the first draft of the e-book, making necessary additions, deletions, and alterations as recommended by the experts. This revision process took another one week. Having made the content as detailed and near-perfect as possible, I wrote the copyright, table of content, disclaimer, and about the author pages. Then I proceeded to the aesthetics aspect. Using Microsoft Word, I designed the pages and back cover for the e-book. I then turned the back cover into a 3D mockup version at 3d-pack.com. (I later hired someone to create a better-looking e-cover for me, though). After making sure that everything is fine, I converted the e-book into PDF and got it ready for launch. But there was more to do before launch. 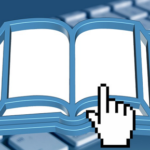 Crafting a compelling sales page for the e-book was the next task. I knew the success of the e-book would hinge largely on the sales page, so I put a lot of effort into crafting it. I edited and edited until I was sure that the page would be enough to convince me to buy the e-book if I were to stumble upon it as a job seeker. Next, I uploaded the e-book on Gumroad, an online payment processing service that allowed me to receive payment from buyers who preferred to pay with their ATM cards. I offered that as an additional option to direct bank deposits and transfers. The following week after launch, I arranged with Mr Suraj Oyewale to have the e-book advertised on his career mentorship blog. To compensate him, I offered him a 40% commission on each sale. He agreed to receive the commission at first, but later started directing interested buyers to me for free. 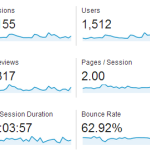 I later placed an ad for the e-book on my high-traffic blog, and that has been the biggest source of buyers to date. 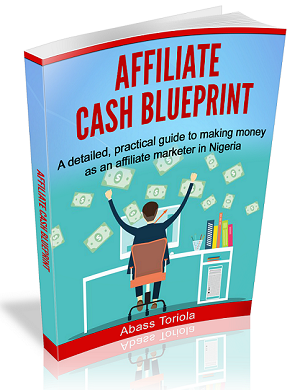 I also attract buyers from Google, as the e-book ranks prominently for queries like, “how to get a job in Nigeria”. To date, I’ve sold several copies of the e-book, and it’s still available for sale. That success of my first e-book motivated me to create a second one. 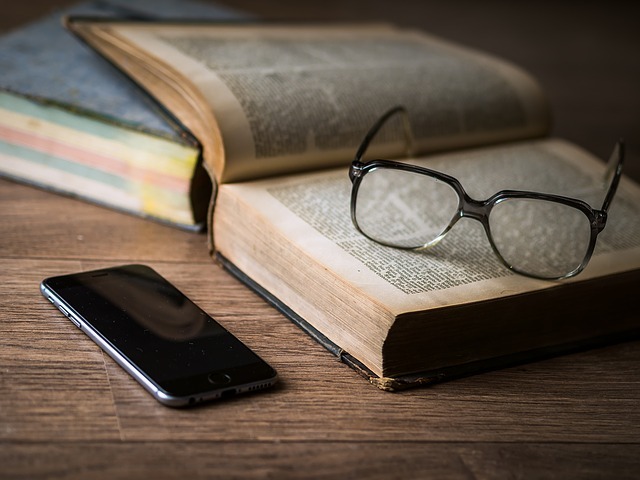 If I could successfully create an e-book on a topic I have little knowledge of, then creating one on a subject I’m more experienced in should be far easier. 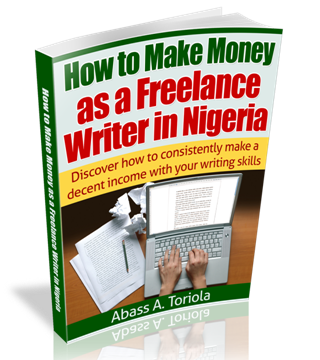 So, I created my second information product — another e-book titled, “How to Make Money as a Freelance Writer in Nigeria“. In this one I explained how to become a successful freelance writer, based on my own knowledge and experience gathered over years of writing for clients from all over the world. Like the first, my second e-book was also a success, and it’s still selling to date. I didn’t stop on those two. 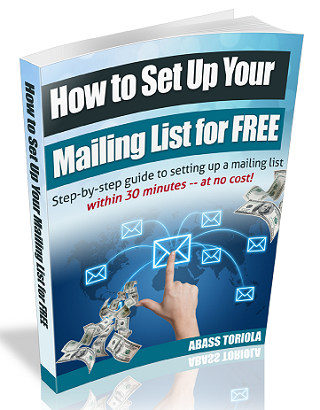 I’ve since added two more — my e-course on affiliate marketing, Affiliate Cash Academy and my e-book on how to create a mailing list. So far, all four products have been doing fine as regards sales. 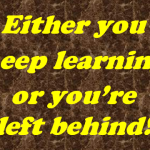 Now, let me tell you some of the lessons I’ve learned since I started out as an information marketer. I’m revealing these so you can learn from them. Attention, Blogspot Users! Learn From This! I need your advise on info product marketing sir , God bless. Information marketing business is my best way which I have been using to make money online. Honesty, this is the best so far. Of all the ways of making money online, information marketing business is the best. This was so much information for free. Thanks for giving it out, it was really helpful, personally. Thanks for this great resource, I’ve bookmarked it for future reads. 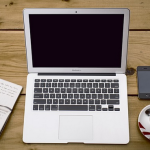 To be frank with you, those freelance outsourcing sites are highly competitive. Even Fiverr isn’t any better. My advise to you is to either keep trying or get a copy of my ebook on Freelance writing to unveil other platforms where you can get clients. I revealed about 13 different platforms there. Comment Text*Thanks Abass for bringing this instructive post my way. Really a copious treatise but I have also copied it (like your other posts) to be part of my Creed as a newbie in blogging career. If you have any time, please assist me by reviewing my first blog ever: http://onlineincomedrive.com. I will appreciate it. Thanks. Thanks , Abass for a wonderful post. You really bare it all on information marketing. I must say , I’m really inspired by your work and I hope this inspiration would go a long way in helping me launch my first ebook. I’m glad your found the post helpful and inspiring. I wish you success in your quest to publish your own e-book. This is epic stuff, Abass. Very inspiring story you just shared. 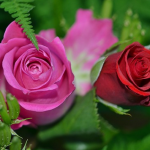 I’ve known you to be very transparent with valuable information that helps readers a lot. And I’ve been adopting this approach on my blog, you’re that good. What they don’t really understand is this: When you offer information that provides value, answers readers question and provides solutions to their problem. This build credibility and readers will trust you more. Thanks Abass for being different and showing the light. Looking forward to your next post. Thanks for your kind words, and for taking your time to leave that lengthy comment. I’m glad you’ve learned a lot from my blog, and I’m even more fulfilled that you’re really implementing all you’ve learned. I greatly appreciate your loyalty. You always rock! Nice one Abass. I love reading success stories and the pain behind the gain. I’ve purchased some of your products, and no doubt you put in so much effort into them. Your story will really help me in creating my first product for my copywriting website. Though I intend to make it free – – an ego-bait. Thanks for your kind words. And for taking your time to read the post. You rock! Just as you’ve always done with all your posts, you’ve nailed this too. In this post, my favourites include 4, 5 and 7. In the ever increasingly competitive world of freelance writing and information marketing, the importance of tapping from the experience and resources of others symbiotically cannot be overemphasized. Simply put, do everything by yourself and jeopardise your efficiency and quality output. Or simply work with others and get a win-win reward for your effort. I’ve benefitted from this immensely. Regarding packaging, you’ve never said it much better! I still remember how I (should I say?) wasted precious time I could have spent on a profitable engagement on an endlessly rigorous effort at designing the covers of my first e-book. Ah, how I sweated after the task was completed! And the result? Awful. That was then though, it was my first time! Bottom line, I could have just easily outsourced that and would have saved me the pain. 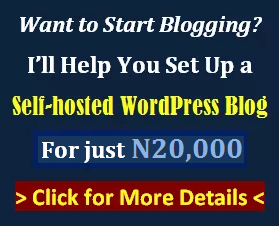 Lastly, yes, it cannot be said enough, to the Nigerian graduates most especially, that instant riches is non existent as far as information marketing, blogging and freelance writing are concerned. The sooner seasoned experts like you, Abass Toriola and others, drum it into their heads like a headache, the better. And that’s it! Thank you for sharing your wealth of knowledge on this platform free as oxygen. More power to your elbow. Thanks for taking your time to read the post, and for the lengthy comment. I quite agree with all the emphatic points you made. And I’m glad you found the post helpful. Good information. sounding more real. may this info be relevant when I will have a PC, cox without that i don’t think there’s anything like information marketing for me. I agree with you…you’ll need a PC to start with. Thanks for taking your time to read the post. Wow! This great! I read your blog very well and this is the first time to comment on it. And I like this new design. It’s fine. Thanks for reading the post and leaving a comment. And thanks for the compliments about the new theme. You’re actually the first person to make a remark about it. hey mr abass it has been a while that, u dished out information on your blog. I am glad that u are now back. Quite a long one but i read to the end. Thanks for sharing. It was really educative and inspiring. Thanks for taking your time to read the post. I’m glad your found it educative and inspiring.